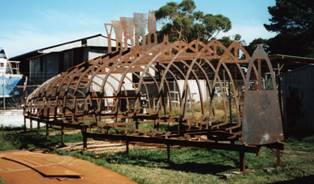 The construction jig must be built before any work can be started on building the hull. The jig is welded up from angle iron supplied as part of the kit. 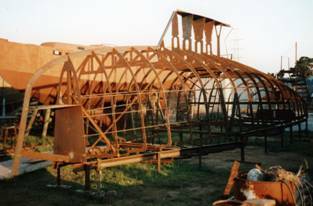 It is critical to get it straight and level otherwise the hull will end up out of whack. Note the collision bulkhead in the bow (closest to camera), at the rear of what will be the anchor locker. 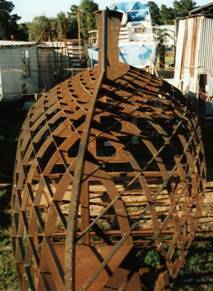 The anchor locker does not go all the way to the bottom of the hull as it would be too deep to be practical, and it would not be self-draining. So it has a floor at the level of the bottom of the plate. 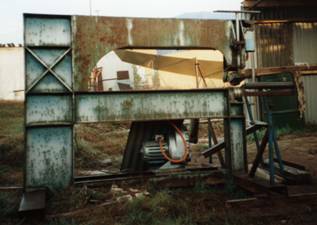 A removable plate will be added later to complete the watertight bulkhead (it must be removable so that the space below the anchor locker can be accessed for sand blasting, painting and insulating). Care must be taken that the frames are all level. 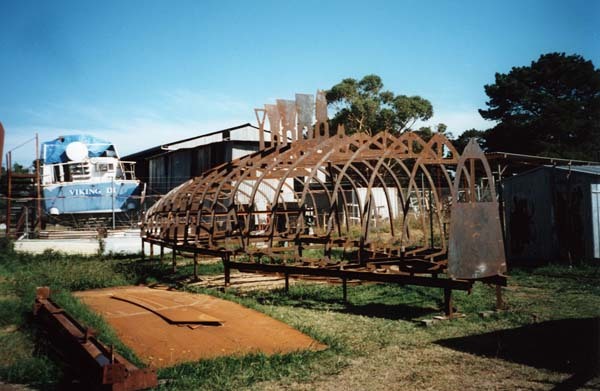 In this photo, the leading edge of the bow and the floor of the anchor locker have been added, and the horizontal stringers are being welded to the frames. The piece of stainless steel pipe used as the leading edge of the keel has been fitted. Pipe is used to give strength and a curved surface to the leading edge to keep drag low. Frame and stringer welding is now finished. 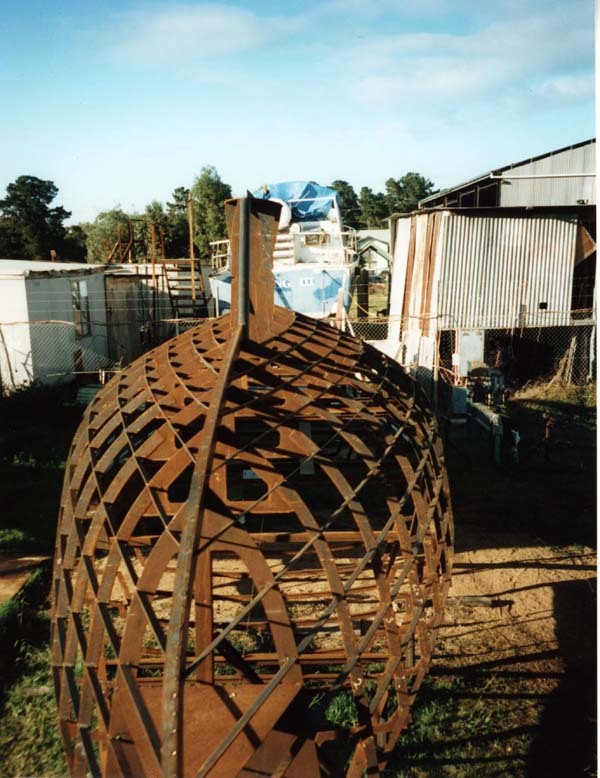 The hull’s central spine is complete. 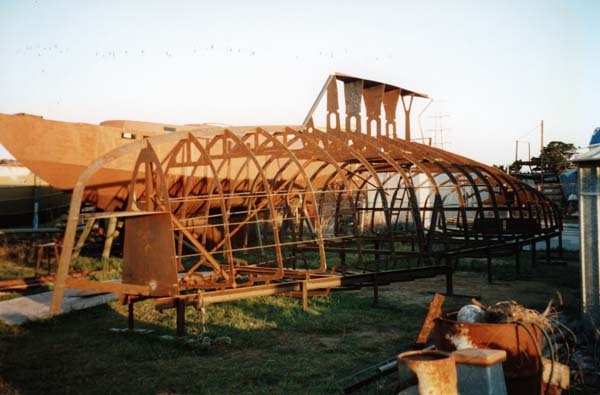 The hull is now ready for the plates. All the frames and stringers have had their inside sharp edges rounded off with a grinder, because paint will not stick to sharp edges. If this is not done the scope for internal rusting is much greater. 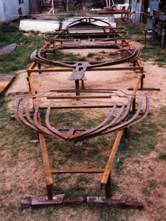 It is a huge job, something that would not normally be carried out by professional boat builders for cost reasons. 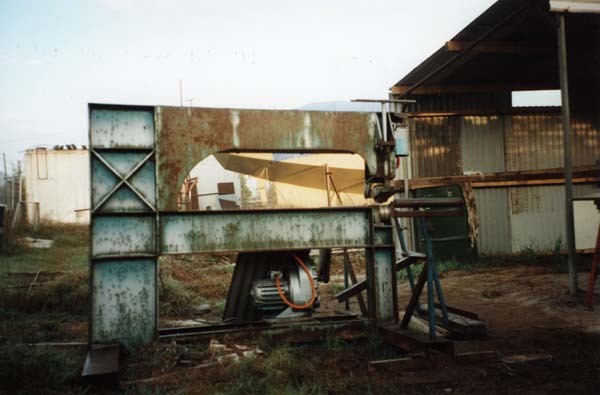 This machine is used for rolling the plates into curves in two axes to fit the shape of the hull. 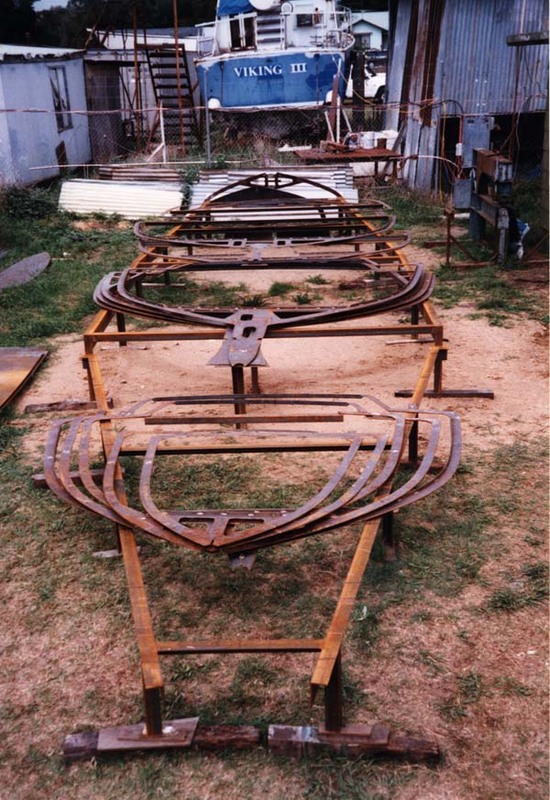 Known as round bilge construction, this process is usually restricted to professional builders. It produces a much more visually pleasing hull than the hard chine (flat plate) method.